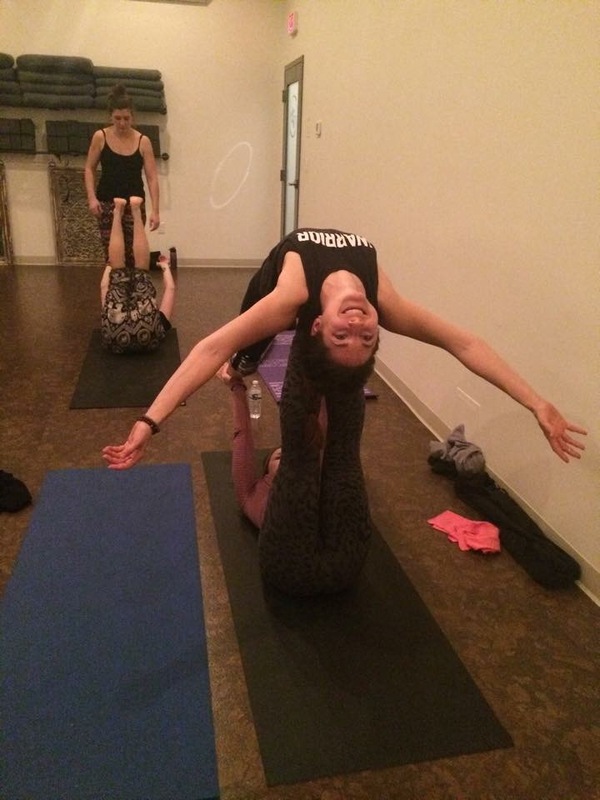 In January and February I explored a few AcroYoga/Thai Massage workshops in the Boston area and absolutely loved it. I had the pleasure of learning a few things from local teachers Izzy Vanhall and Brian Lam, but then ventured out to the burbs for some more fun. 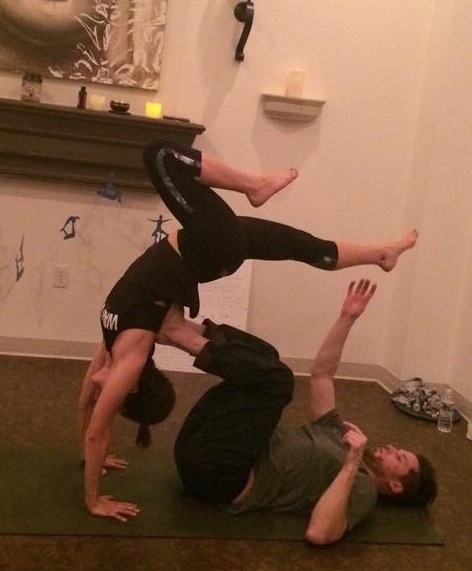 Centre Yoga in Woburn (a really beautiful studio) hosted a fun and relaxing AcroYoga night around Valentine's Day. Some yogini friends and I had fun getting upside down, trying not to fall (but still falling...), and just enjoyed trying something for the first time. It was a blast, and so rejuvenating at the same time. You do not need to be an acrobat or expert to give this a try - you can even be a newbie in yoga! The benefits are endless and I encourage everyone to try it. Thanks to my friend Anne for being an amazing and trustworthy base!